The San Jose Mercury News and The Sacramento Be have picked Terrorists in Love as one of the top non-fiction books released this fall, calling it "a disturbing, intimate look inside another world." South China Morning Post: "Terrorists in Love's behind-the-scenes digging and socializing make for wild, weird entertainment ...Gripping"
Publishers Weekly has picked Terrorists in Love as one of Top Ten Politics Books for The Fall. 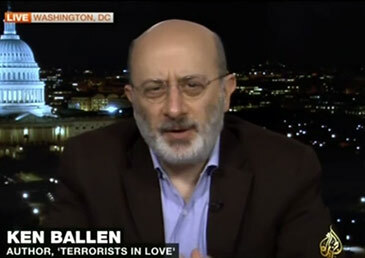 Author Ken Ballen of “Terrorists in Love” explores the many reasons that drive young men, such as Abu Zubaydah, to join Al-Qaeda and the Taliban. 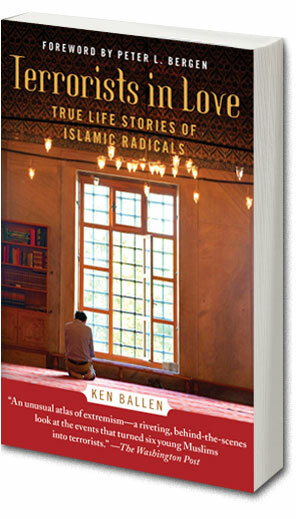 Author Ken Ballen discusses his book “ Terrorists in Love: True Life Stories of Islamic Radicals”. Former federal prosecutor Ken Ballen spent five years interviewing more than one hundred Jihadi terrorists in Saudi Arabia. He turned these encounters into. This week Teri talks with: Ken Ballen a former Federal Prosecutor who convicted international terrorists.